Robert Molyneux was born in Lancashire, England, into a Roman Catholic family. Restricted by the penal laws regarding Catholics, he was privately educated by tutors before traveling to Belgium to study theology and to teach. After ordination, he was sent to America in 1771, following in the footsteps of his relative Richard Molyneux, a Jesuit missionary. He first served two years in Maryland missions before he was appointed to St. Mary’s Church in Philadelphia. Later he also became joint pastor of St. Joseph’s Church, a church served also by Ferdinand Farmer. When the Revolutionary War came, Molyneux was a moderate patriot, pledging his oath of allegiance to Pennsylvania, serving at two funeral masses for foreign envoys, and tutoring the Chevalier de la Luzerne in English. During the British occupation, he devoted himself to his library to avoid contact with the British. He also opened a parochial school during this period, purchasing its site in 1781. To free the church in America from British jurisdiction, he urged his friend John Carroll to accept an appointment as prefect apostolic and then advocated the approval of an American bishop. In 1788 Molyneux was appointed bishop. He then departed Philadelphia for Bohemia Manor and then Newtown in Maryland to serve as vicar general for the southern district. Around 1791 he became president of Georgetown College (later University). 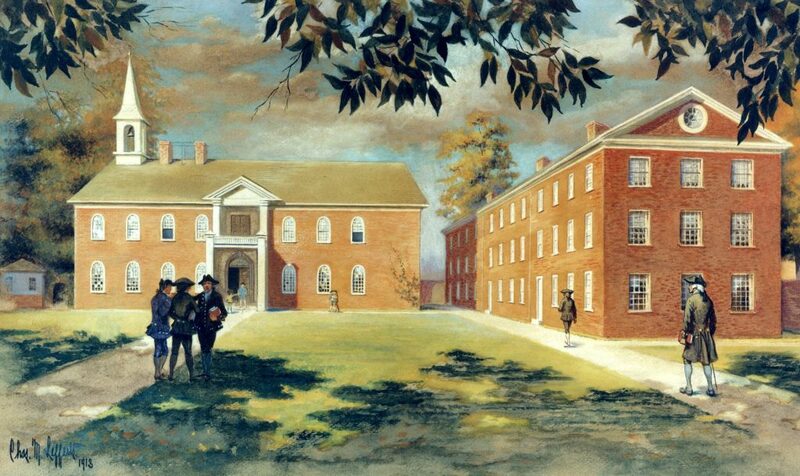 From 1796 to 1806 he returned to Newtown, and then in 1806 resumed the rectorship of Georgetown College. He retired as bishop in 1808. Rev. Robert Molyneux (or Mollineaux), as the senior minister of the Roman Catholic Church in Philadelphia, served from 1786 to 1791 in an ex officio capacity as a trustee of the University of the State of Pennsylvania (now the University of Pennsylvania).